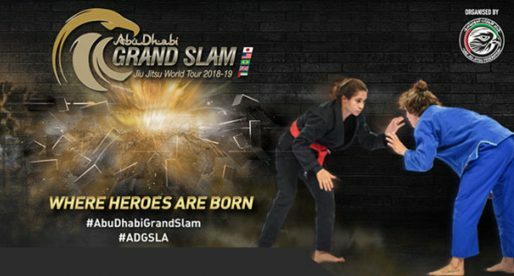 The Berkut bunch is returning to jiu jitsu and keeping their schedule with another star studded no-gi grand prix, an event that will carry high level BJJ to Qatar – a country where this sport’s seed just started being planted. The event will take place in the country’s capital Doha, where an army of some of the best feather and ultra-heavyweight challengers will battle for the promotion’s 65 and +95 kilogram belts. 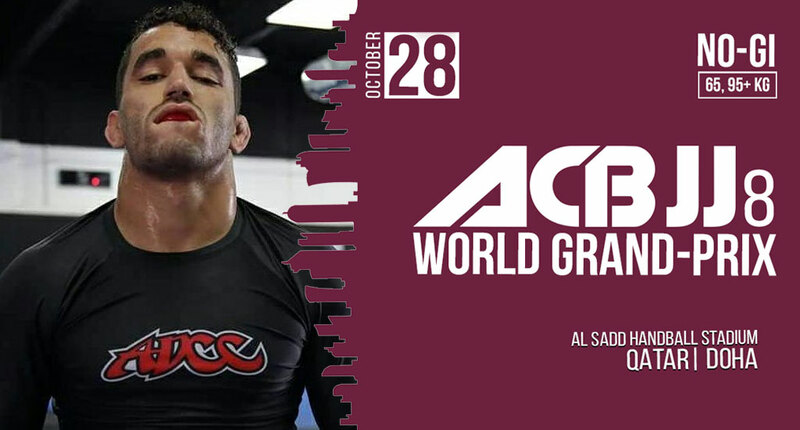 The line-up for ACBJJ 8 will rival some of the world’s best events in the level of talent brought to the mat with ADCC, Worlds and Pans medalists from a range of nationalities. Certainly one of the most eclectic and well structured professional events in the sport today. Below is a run-down of the athletes and respective categories on display this weekend. Osvaldo Moizinho, AKA “Queixinho” has been at the top of jiu jitsu’s ladder of success for many years working with some of the strongest teams in the world, having recently founded his own together with Samir Chantre, Alan Moraes and Milton Bastos – Ares JJ. A 3x IBJJF World No Gi Champion (2016/2015/2014) and 3x American Nationals No Gi Champion (2014/2013/2012), Queixinho will be one of the strongest candidates to the podium at Berkut. A representative of the Caio Terra Association (CTA) Kim is a tough competitor having medalled in tournaments such as the World Championship as well as the Brasileiro Sem Quimono (Brazilian National No Gi Championships) and Pan American Jiu Jitsu Championship. Kim Terra’s style is very entertaining, being one of the best scramblers in the game and posing threats from a series of unorthodox positions. Regardless of outcome, keep your eyes on Terra as you will likely be entertained by his grappling skills. The New York City resident and Unity team member Paulo Miyao is coming into the ACB No Gi tournament as the promotions gi champion and will likely be the favorite for the no-gi strap as well. Miyao is coming in after a solid performance at the ADCC finals last month in which he conquered a bronze. Among Paulo’s most noteworthy achievements are his black belt IBJJF world title (2015) as well as 3 Pan American titles with the gi and 1 in No-Gi. Gabriel Marangoni is one of the leaders of Marangoni BJJ, being also a top featherweight competitor known for his many medals in important tournaments such as the ADCC Brazilian Trials, the IBJJF World No-Gi Championships, as well as the IBJJF European and São Paulo Open. The 8th edition of the ACB Grand Prix has not been without its hiccups thanks to a few last minute drop outs. One of the biggest upsets was the replacement of Leozinho Vieira who fell ill and will not be able to attend the event. In his place we will have the talented veteran Samir Chantre one of the toughest light-featherweights of his generation. An avid competitor in the IBJJF circuit, Nicollas is a student of Cobrinha and a representative of the Alliance family who also runs and academy in United States soil. Welker Araújo has won a few IBJJF International Open’s but has not been a big player in the top tournaments of the sport. This will be an excellent opportunity for Nicollas to showcase his undoubted talent. 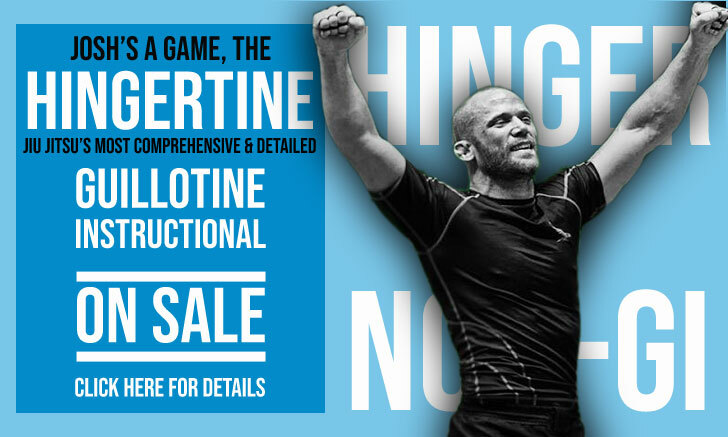 The talented David Juliano Lemes is a veteran competitor and former member of the prestigious Atos competition team but has since Lemes has moved to Qatar, where he is helping the development of jiu jitsu. Although very experienced at the highest level with gold medals in important tournaments such as the IBJJF South American (2009) and European Open (2012), his absence from mainstream tournaments over the past few years may cost him the sharpness required to compete at this level. We will see if he proves us wrong this weekend. Another athlete who is currently stationed in Qatar is Luciano Queiroz, former student of Theodoro Canal at GF Team Recreio. Queiroz was a regular competitor back in Brazil, competing in gi and no-gi events at a high level. A late replacement for Luiz Panza is the mighty Victor Honório, a Rio de Janeiro native who recently moved to Qatar to teach BJJ like a few other athletes on this card – a sign of how much the country is investing in this sport/martial art at the moment. Honório is a Brazilian ADCC trials champion and took good care of himself at the ADCC finals last month, considering he had little experience without the gi. The mileage gained from these two tournaments this year will certainly play to Victor’s favour at ACB. The super talented ultra-heavyweight plays a strategic game with short bursts of power and speed to conquer advantageous positions, often with some eye pleasing acrobatics. He is certainly a candidate for the podium of the ACB. Commonly known as Fedor, Lucas is a student of both Leozinho Vieira and BJJ legend Eduardo “Jamelão”. An athletic Ultra Heavyweight, Fedor brings great guard passing movement to an overwhelmingly pressure based passing based weight category. Lucas is fast, with solid takedown knowledge and a savvy half guard player. His talent will face serious obstacles in a stacked division, but this wouldn’t be the 1st time Gabriel overcame the odds. The Dane is one of the most accomplished European grapplers of all time, and has maintained fairly active in the sport’s competitive circuit this year. One of the bitterest moments of his black belt career will certainly have been his last performance at ACB, when he lost the belt in the very final seconds of the final. Not one to show emotions in public, Trans will likely be coming into this Qatar tournament on fire, wanting take the belt that so narrowly escaped his grasp earlier this year. Among Trans’ most outstanding performances in BJJ were his 3 European Open titles at black belt (2014/2013/2012) his IBJJF Pans title in 2015 as well as his runner-up performances at Copa Podio (2016) and ACB (2017). Moku gained worldwide recognition as a brown belt with eye pleasing performances in some of the sport’s top tournaments but his performances have run hot and cold since reaching the black belt division. 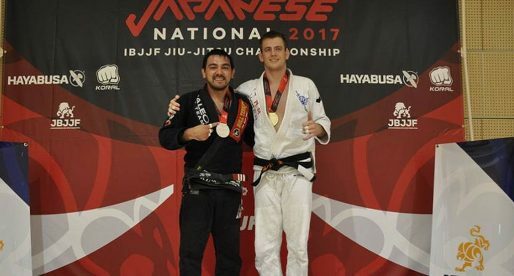 A former student of the Mendes brothers, Joseph is coming in galvanized by his outstanding result at the IBJJF American Nationals (No-Gi) where he conquered a silver medal. One of the scariest men alive, Kerimov has had a few wars at the Berkut – ACBJJ league and is back after a decision loss to Ricardo Evangelista this year with the gi. Excellent from the feet, Muhammad has a pressure based style – in fact, his pressure is such that he submitted former ADCC open weight champion Dean Lister with shoulder pressure at a superfight last year. Don’t expect a fun show with lots of movement by Kerimov, but expect him to be incredibly hard to score on. Likely the biggest man on the show, Marcos de Oliveira’s No-Gi credentials are outstanding, having an ‘unsweepable’ base and very solid takedown knowledge being a former Brazilian national squad member in both judo and wrestling. A BJJ business man, and important figure on the backstages of the sport, Marcos (AKA Santa Cruz) left his belt on the mat at the last ACB, a gesture that symbolized his retirement from the gi. He is, however, still battle ready in the no-gi league of ACB. ‘El Patron’ is coming in as a late replacement for Ricardo Evangelista, having just earned his black belt. A trial by fire for the American who will be the smallest athlete in this weight class. Although Perez might be lacking pressure power in comparison with his fellow oversized challengers, he will certainly have the speed and athleticism advantage, much needed attributes when scrambling for positions (one of Mike’s specialities). A very confident athlete, Perez brings plenty of mat experience being a 2x ADCC veteran and a former US trials champion. Shielded by his trademarked aggression and determination Mike Perez may very well be the dark horse of the competition. João Rocha is one of the stars at the Soul Fighters training camp, having earned his black belt from both Rafael “Formiga” Barbosa and Leandro Escobar. 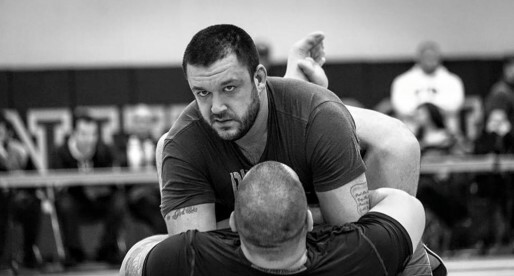 He’s a former ADCC medalist in his weight and the open weight as well as an IBJJF Pans champion.